It generally has been true in Washington that to get a plum job, it depends on who you know. And that seems to be the case with Jennifer Mellon, the new confidential assistant to Federal Energy Regulatory Commission Chairman Neil Chatterjee. Her hiring is the latest example of moves by Chatterjee, with the assent of the Trump administration, to employ more political appointees than is typical at an agency that since its founding in 1977 has been largely nonpartisan in its operations. FERC spokesman Craig Cano on Thursday confirmed that the chairman knows Mellon because of her relationship with Chatterjee's wife, Rebecca. Their yearslong friendship was nurtured through their mutual involvement with the Junior Friends of the Campagna Center, an Alexandria, Va.-based nonprofit social service agency known for its fashionable fundraisers, several sources said. So earlier this year, Chatterjee offered Mellon a Schedule C political appointment in his small office that has a staff of six. He introduced Mellon at the commission's March 21 meeting. Tyson Slocum, director of Public Citizen's Energy Program, said, "I'm not bothered that she got the job because she knows Chatterjee's wife. People get jobs in D.C. all the time based upon who they know." But a career civil servant and hiring manager at another federal agency that deals with energy issues said, "It doesn't get any swampier than that." Chatterjee declined a request for an interview and would only answer questions about Mellon through the agency's external affairs office. Mellon is the co-founder and president of Trustify, an Arlington, Va.-based tech startup. The company is the subject of four separate legal actions in Delaware, New York and Virginia asserting millions of dollars in fraud during and stemming from her tenure with the company, which she started with her husband, Daniel Boice, in 2015 and which abruptly shut down in late 2018 (Energywire, March 28). On Thursday, Chatterjee spokesman Cano, in response to a question posed by email to Chatterjee, said that "to her knowledge, Ms. Mellon has not been a party to any legal action against Trustify." Mellon had previously noted that "she's been legally separated from Danny Boice and has not been employed by the company since last year." Asked if Chatterjee was aware that the FBI has made inquiries to discuss one of the legal actions — by Anchorage Capital Group — Cano said, "We aren't going to comment on a pending legal matter." Boice has complained about the FBI contact in his Twitter feed. Mellon's position is one of roughly 1,400 Schedule C jobs across the federal government that enable higher-level political appointees such as Chatterjee to quickly select individuals and bypass the rigorous, competitive and time-consuming route those seeking career civil service jobs must follow. "It's a backdoor way to get you in. You don't have apply; you don't have to go through USAJobs. The commissioner has the discretion to hire whoever they want," said a former FERC Schedule C hire. "There essentially is no background check" at the time of hiring. Asked what sort of background check was performed before Mellon was offered the job, Cano said it was "the same as for any other Schedule C employee." The confidential assistant job is defined by the Office of Personnel Management as a position of "public trust" and requires the completion of a lengthy questionnaire that results in the lowest-level security clearance the federal government confers. Among the questions on Standard Form 85P are two concerning financial records going back seven years, including "Are you now over 180 days delinquent on any loan or financial obligation?" Asked if he was concerned that Mellon's replies to the question could be problematic, Cano, speaking for Chatterjee, said "No." Three of the lawsuits assert that Trustify has not paid its employees, landlord or public relations firm. The questionnaire is usually completed after the political appointee starts work, according to several people who formerly held political jobs at FERC. And the confirmation of the information on the questionnaire by a human being via interview can take years, said several former FERC Schedule C employees. The National Background Investigations Bureau said in September 2018 that the backlog in personnel background investigations is approximately 661,600. Jobs such as Mellon's are cataloged every four years right after a presidential election in a book titled "United States Government Policy and Supporting Positions." Inside the Beltway, it is known as the Plum Book. "Schedule C positions are excepted from the competitive service because of their confidential or policy-determining character," the 2016 Plum Book said. The decision to approve a Schedule C employee is made by the director of the Office of Personnel Management at the request of the agency on a case-by-case basis. Asking for a Schedule C position is "appropriate," the Plum Book said, when it "involves making or approving substantive policy recommendations" or the "work of the position can be performed successfully only by someone with a thorough knowledge of and sympathy with the goals, priorities, and preferences of an official who has a confidential or policy determining relationship with the President or the agency head." The job description for a FERC confidential assistant involves administrative tasks such as handling the office budget, travel arrangements, scheduling engagements and Freedom of Information Act requests, said former FERC employees. But the job can be expanded to include any work a commissioner may desire. "It's an important function to make sure the trains run on time," one former employee said. "A lot of [commissioners] would bring folks from within the agency who knew how the traps were run. If you're outside of government, things just don't make any sense." By tradition, FERC has had just five political positions among its more than 1,400 employees — one chosen by each commissioner. In the 2016 Plum Book, it listed two Schedule C positions each with Chairman Norman Bay and Commissioner Tony Clark, and one each for Commissioners Colette Honorable and Cheryl LaFleur. The 2012 Plum Book listed just four Schedule C employees among the five commissioners at FERC. But Mellon is at least the sixth person in a political job around Chatterjee. Anthony Pugliese was Chatterjee's chief of staff until he recently left. He and General Counsel James Danly were hired as so-called noncareer Senior Executive Service employees, a higher pay grade than Schedule C but still political appointees. It is unclear whether Chatterjee will hire another political person as chief of staff or take the route of his predecessors and pick someone with experience within the agency. 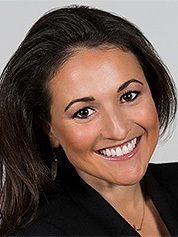 Lindsee Gentry, who worked with Chatterjee in the office of Senate Majority Leader Mitch McConnell (R-Ky.), was hired as a Schedule C in the chairman's office. But Chatterjee recently promoted her to be deputy director in the Office of External Affairs. And in recent months, Chatterjee named Michael Smith as a Schedule C policy adviser. He had worked in the Senate Republican cloakroom (Energywire, March 18). He also tabbed John Umberger, a fitness trainer who briefly worked for the Trump inaugural committee, as his executive assistant (Energywire, Jan. 18). Many people who get Schedule C jobs earn them through work on the winning presidential campaign or experience in politics or causes important to the new administration. Mellon is different in that she has no discernible background in Republican politics, nor did she back President Trump publicly. Her Facebook page once featured a photo — now removed — of "Trustify Co-Founders with Presidential nominee, Hillary Clinton! Jennifer Mellon & Hillary Clinton in the same room?! Talk about #girlpower!" In a June 2018 interview about Trustify with the website Kivo Daily, Mellon was asked who were her biggest influences and people she admires. "Jesus, Hillary Clinton and my father," she replied. Mellon did not respond to an email asking for an interview. But a source close to Trustify said Mellon "was the public face of the company, out there in front of the clients" such as Goldman Sachs. "There is no doubt in my mind that she was 100% a partner," the source said.